We setup the camera with the new rotator from Real Tour Visions. I am very excited about all the opportunities this will offer both businesses and individuals alike. 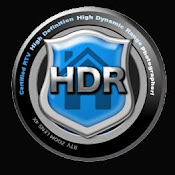 Real Estate - a virtual tour is not just a slide show and it is not just a few panoramas thrown together. At Challenging Designs Inc., we go beyond the mundane and offer true virtual tours which include multiple panorama views as well as still photos, flyers, descriptions, links, information and a way to contact the Realtor to request additional information. Additional options available are also CDI Living PhotosTM, personalized website, personalized highlight sheet master, virtual tours can be added to a business card CD's and much more. Challenging Designs also offers graphic design and web design as well to show off your property. Companies - virtual tours are a great way for the public to see your business from their home. JD Powers has found that over 80% of consumers begin their search on the internet. Showing your facilities off makes a longer "memory" and increases your chances that they will chose to visit your business over someone who just has a phone number and address. It can create a personal connection before they even visit. Individuals - "Vital Records AlbumTM" is great to have around in case of theft or disaster in your home. We take individual photographs of your valuables, then a virtual tour of the room where they are housed. We can assist you or do it all and take a written inventory log as we go. Then all the photos and the scanned inventory list is put on a CD or DVD, and you get the original disk as well as the written inventory list. We can also scan other important documents to be added to the disc. We recommend you store these in a fireproof box, or in your safe deposit box. Call us when you update your art collection, or want to update your "Vital Records AlbumTM. Challenging Designs Inc. is your full-service design firm, from Virtual Tours, Photography, Graphic Design and Web Design. We take your Challenge and Manage It! Yesterday we came back from Missouri. Family is always wonderful about being guinea pigs for my newest equipment. This new equipment from Real Tour Visions is awesome! The new diffuser we purchased optimized the light for some wonderful interior photographs of the group. Missouri is wonderful, so outside shots are very beautiful! I am excited to make them into a collage and slide show. Just finished this month's issue of the Parade of Homes magazine for Hot Springs Village. It should be wonderful. A lot of new advertising. We also added the 4th of July calendar this year, thanks to the assistance of Stacy at the POA. Thank you Stacy! We created 9 new ads for this months' issue as well as the front cover (outside & inside). Teapots 'n Treasures just awarded us the project of creating a logo & website. Look for it within 2 weeks (creation, photographs, editing, posting & training). We are so excited about the prospect of offering fantastic opportunities to real estate agents, businesses, home builders, golf courses, property owners associations, insurance companies, individuals and more. We just became the local distributor of Real Tour VisionsTM in Hot Springs Village, AR. This partnership should profit everyone, especially our customers. Challenging Designs Inc. just upgraded our photograph equipment, added a diffuser for unparalleled interior and group photographs, and now that we are paired with Real Tour VisionTM , http://www.realtourvision.com/, we will be able to offer virtual tours, slide shows, property & memory websites. With 360 degree virtual tours, their equipment and software, advertising and promotion just got considerably better and easier. We now believe we will be unstoppable. Come back for a list of the latest way we can assist businesses, individuals and communities.